Several labor agencies that sent people abroad to work have been turning in their licenses since late 2008 without offering any explanation. They include giant agencies like Songda Corp, SSC, Vigecam, Vinaconex 6 JSC, and TMS Group. Most merely said they are seeking to switch to more profitable businesses. But the Ministry of Labor, Invalids and Social Welfare blamed it on the difficulties they were facing after countries employing guest workers suffered from the economic meltdown and sent home many workers before the end of their contracts. 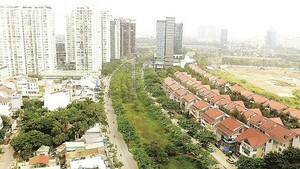 The ministry said around 10,000 Vietnamese workers returned home in this manner in the last two years. The ministry had planned to send 90,000 workers abroad last year but managed to send only 75,000. A more plausible reason is that the labor agencies were unable to find workers since people no longer want to go abroad after being cheated by enterprises that have got away scot-free. Dao Cong Hai, deputy head of the ministry’s Overseas Labor Management Department, told Sai Gon Giai Phong January 28 that 25 enterprises have either quit the industry or been suspended for flouting regulations. But despite surrendering their licenses, the agencies remain responsible for the people still working abroad, he said. The ministry reported there are 500,000 workers and experts working in 40 countries and territories now. They send home around US$1.7 billion annually. Minister of Labor, Invalids and Social Welfare Nguyen Thi Kim Ngan said to achieve the target of sending 85,000 workers abroad this year, her ministry would set up programs to train workers, keep out unauthorized enterprises, and prevent cheating.